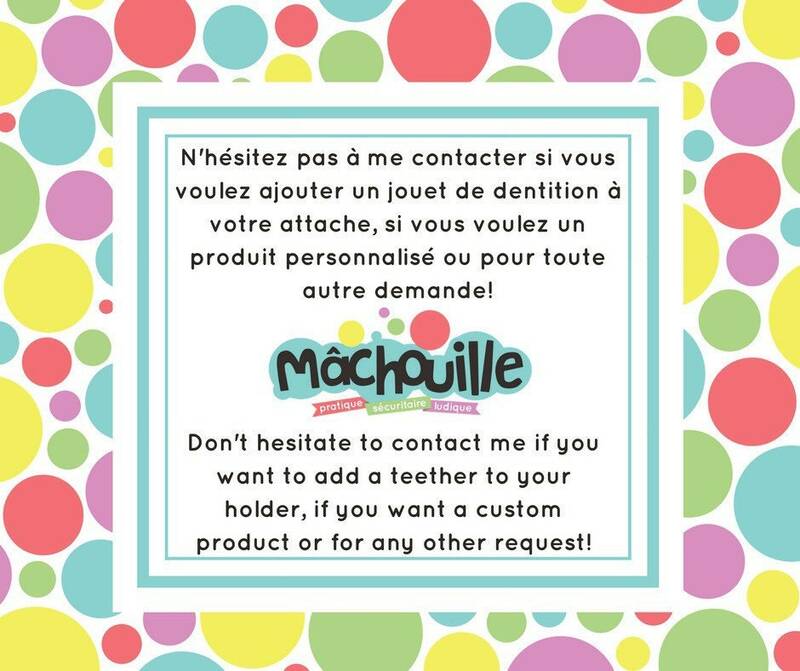 The Mâchouille holder is designed to be adaptable to most pacifiers and teethers. 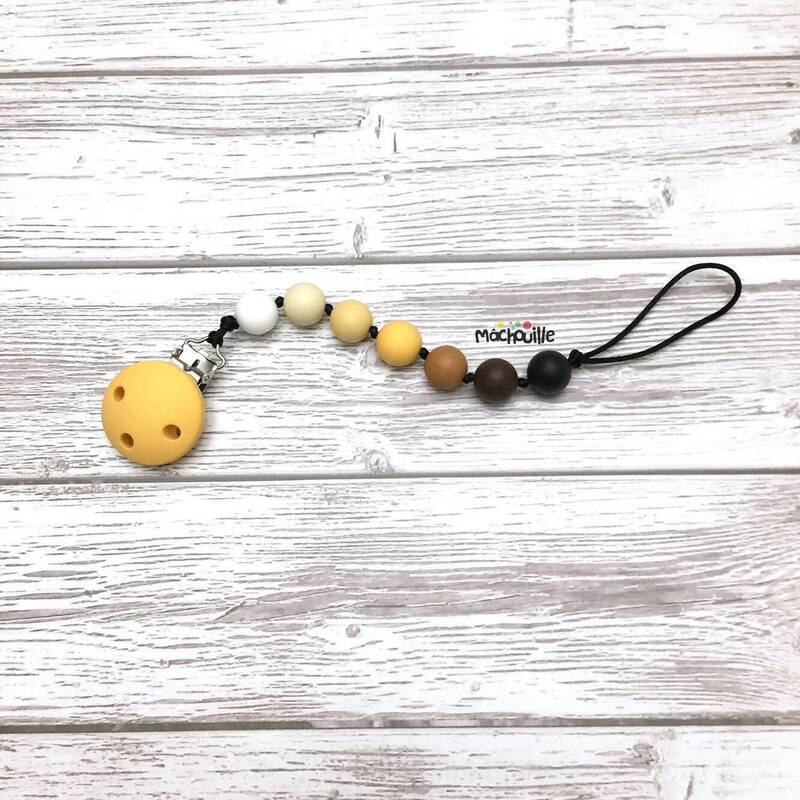 The beads are made from non-toxic food grade silicone and certified BPA-free, phthalates-free, cadmium free, lead-free and mercury-free. The clip is made of steel and the button is also in silicone. The holder is assembled with a durable polyester cord. A node is performed between each of the beads in order to increase the security of the holder. The clip does not measure more than 20 centimeters in order to avoid the risk of strangulation. - The holder must be washed before use. - Clean by hand with water and soap. - Rinse and dry in the air. - Avoid wetting the clip to prevent its deterioration. - Using and wearing the holder by babies or children should always be supervised by an adult. - Do not leave babies and children sleep with the holder, whether fixed or not. - Do not let children chew the clip. - Check the condition of all parts of the holder before use and stop using it if you notice any breakage or any alteration.